What is a High Bay Warehouse? 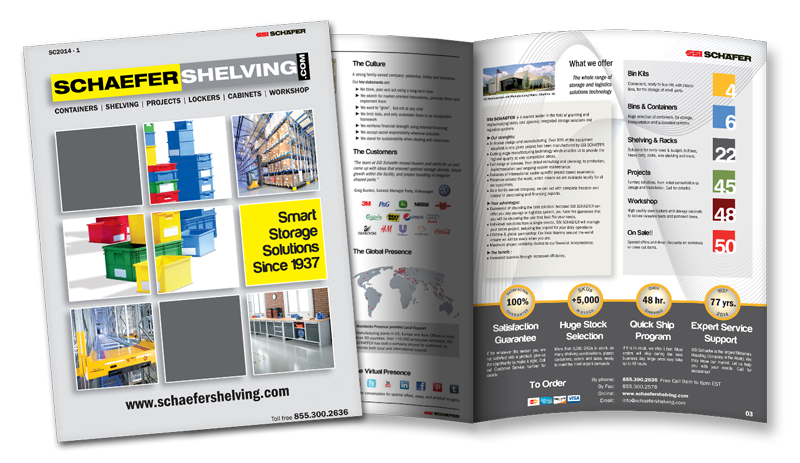 The motivation for setting up a fully automatic High Bay Pallet Racking Warehouse varies greatly: Shorter supply chains, increased storage capacity or improved delivery accuracy are among the most common objectives. The ultimate use of space... with minimal use of building materials. With High Bay Warehouses, the rof and walls are attached directly to the racking, making a separate building unnecessary. 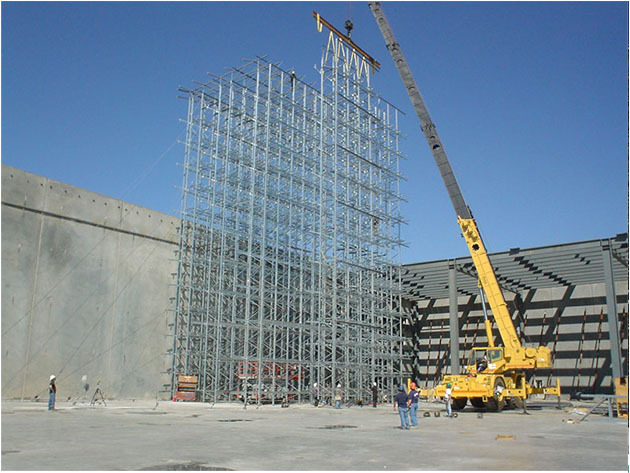 Even though tons of stell are used into the construction of a silo, it is financially atractive when compared to the time and materials needed for a conventional High Bay Storage facility. Quality materials and reliable corrosion protection ensure that the steel construction has a virtually unlimited service life. Our modern and specially developed anchoring systems significantly reduce the amount of work required to set up the base plate. 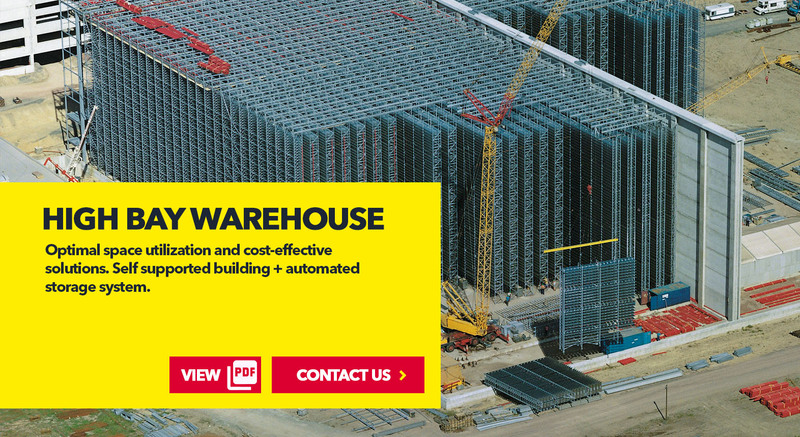 The specific design of our warehouses and the almost complete absence of welded connections reduce deformations and additional tensions in the steel racking construction. This means that the narrowest of tolerances are met and the overall performance of the system increases. 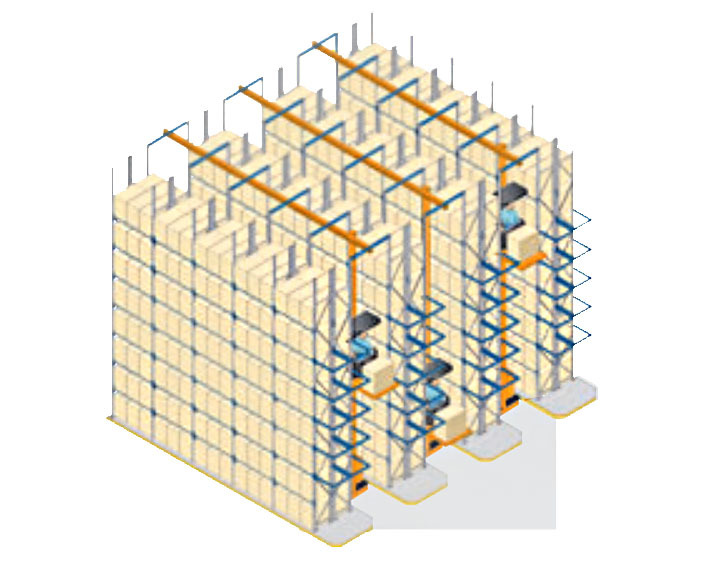 Our various racking support systems can be used in many different ways and allow the implementation of a variety of storage options, from single-depth to multiple-depth as well as single- and multi-location storage. As a reliable partner, SSI SCHAEFER stands for long-term security of investment. All of our systems, including the most complex ones, can be expanded or modified, even after several years. 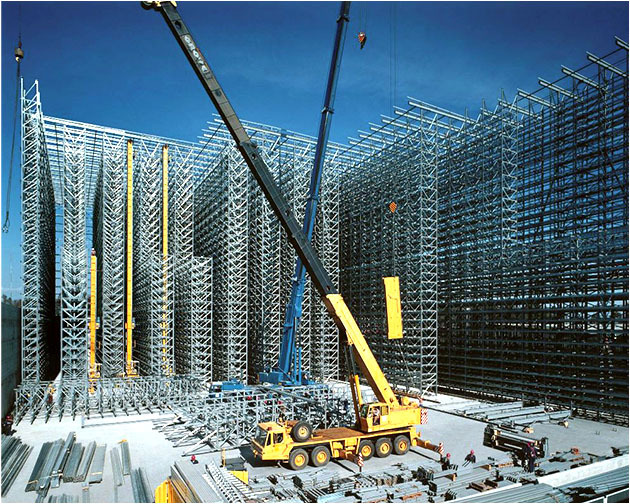 Going beyond the steel frame, SSI SCHAEFER also supplies platforms, stairways and safety devices. 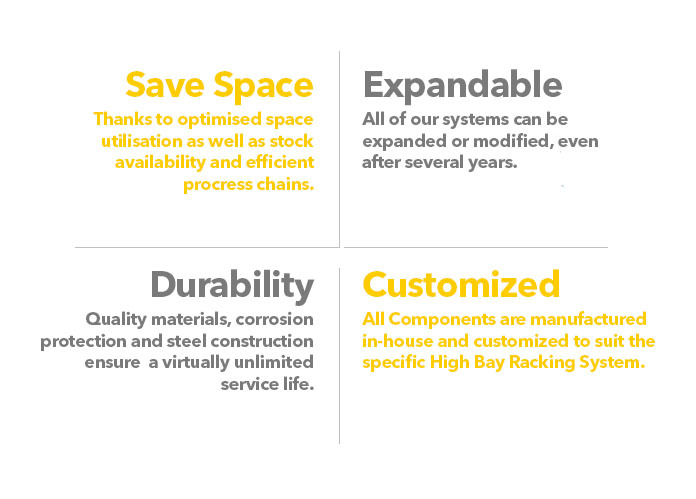 All components are manufactured in-house and customized to suit the specific high bay racking system. 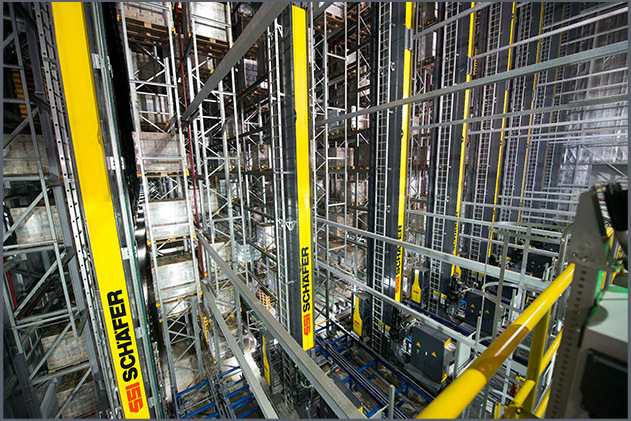 Additional customized frames for the warehouse, such as roof and wall coverings, are also supplied from SSI SCHAEFER, for example as part of a comprehensive bundle.